An ancient Chinese proverb goes that women hold up half the sky. This is particularly apt for cocoa, where women play a central – but often unrecognized – role in the supply chain. There is a widespread misconception that cocoa is a “man’s business.” While three-quarters of cocoa farms in West Africa are owned by men, recent research shows that women perform about half of farm-level tasks. Women are typically involved in early plant care and post-harvest activities, such as pod-breaking, fermenting and drying. In addition to working on the farm, women are heavily involved in household tasks and other work, such as food crop farming and trading. Despite their important contributions, women cocoa farmers lag behind men in most measures of economic opportunity. They have significantly less access than men to technical training, extension services, and credit and production inputs. These services often have biased selection criteria, such as minimum land size (see related article below on land tenure), literacy and ability to purchase inputs, which in practice tend to exclude women. Likewise, few women participate in the formal decision-making structures of farming organizations and community institutions. Empowering women farmers is not just about improving the productivity of the cocoa sector. Research confirms that when women have control over their income, they spend more than men on the health, education, and nutrition of their family members and communities, thereby increasing the well-being and the sustainability of cocoa-growing communities. In 2017, WCF will deepen our focus on gender. We recently held a Global Conference on Women in Cocoa in Ghana to develop a better understanding of what works, which will feed into the preparation of a new WCF strategy on gender equality and empowerment. Going forward, we intend to accelerate our work in three areas: (1) increasing women’s access to finance, (2) removing barriers to women’s ownership and control of assets like land, and (3) leveraging partnerships with key government ministries and international development organizations for greater collective action on women in cocoa. Gender equality in cocoa is not only the right thing to do – it makes business sense. The long-term sustainability of the cocoa supply chain depends on all of us working together to eliminate gender gaps and ensure that women cocoa farmers have equal power to shape their own lives. 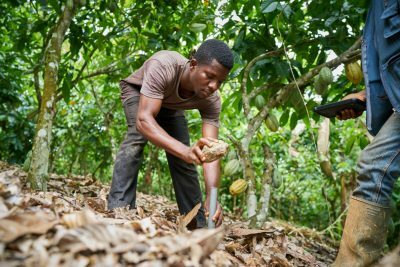 The Cocoa Research Institute of Ghana (CRIG), with support from the World Cocoa Foundation (WCF) and the United States Agency for International Development (USAID), recently released the Ghana Land Tenure Baseline Survey, a first-of-its-kind study outlining tenure rights among cocoa farmers in Ghana. CRIG surveyed close to 1,800 cocoa farmers operating 3,900 cocoa farms regarding various land tenure issues within customary sharecropping arrangements and on owner managed land. In Ghana, most cocoa growers are rural, smallholder farmers operating under informal, customary systems. There are five types of customary land interests present in Ghana, including allodial interests (the highest level of ownership within the customary system), customary freeholds, common law freeholds, leaseholds, and customary tenancies. Customary tenancies, the lowest level of tenure security in Ghana, include abuna, abusa, and caretaker arrangements. Cocoa farmers surveyed by CRIG perceived tenure security as a relatively minor issue. Over 80% reported that encroachment on their cocoa farms by other households, elites or chiefs, or the government was unlikely within the next three years. Even though land tenure and property rights (LTPR) issues were not identified as major concerns by the cocoa farmers, the survey did highlight some important tenure issues, including the lack of documentation—only 30% of farmers surveyed held documentation of ownership or use rights, with a plurality (30%) identifying this as the number one LTPR issue they face. The survey found that farmers under the abusa arrangement achieved higher levels of productivity—372 kg/ha—while full owners achieved only 351 kg/ha. 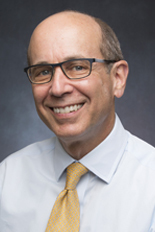 More research is needed to understand the relationship between productivity and tenure, and with tenure arrangements continuing to evolve, our understanding will also need to change shape. While LTPR issues may not be at the front of Ghanaian cocoa farmers’ worries currently, the main question is how the current tenure status quo will withstand future shocks, such as changing land use patterns due to climate change, fluctuations in the value of land because of efforts to end deforestation in the West African cocoa sector, or constraints introduced by inheritance systems. If the tenure system is not dynamic enough to adapt to these issues, competition over land and the decline in cocoa productivity could accelerate. CRIG’s Land Tenure Baseline Survey has contributed to the broader understanding of the current land tenure situation facing Ghana’s cocoa farmers. The task of those committed to creating a sustainable cocoa sector is to ensure that actors in the value chain prosper both through better documentation and the unlocking of land as an asset. Not only will this ensure that Ghana’s customary land tenure system remains resilient well into the future, but that these actions will contribute to the professionalization of cocoa farmers and the greater sustainability of the cocoa sector. 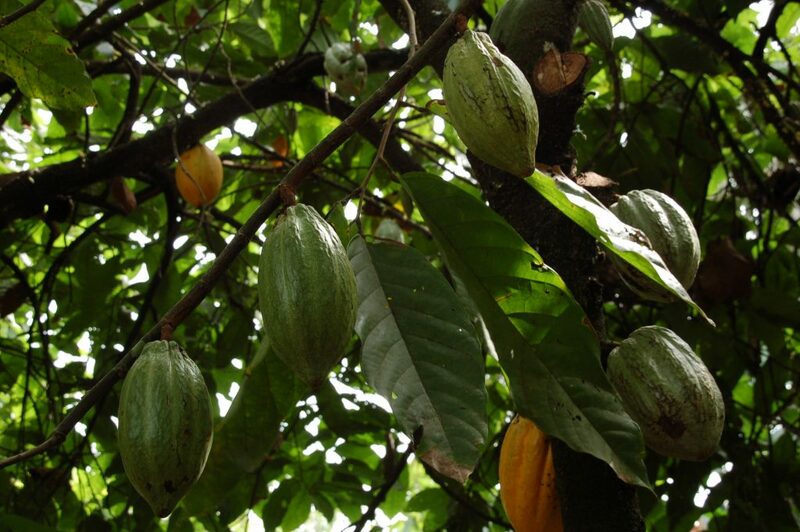 Coming just off of the heels of Earth Day, tackling the challenge of deforestation and forest degradation in the cocoa supply chain is quickly emerging as a top priority for the global chocolate and cocoa industry, cocoa-producing countries and a range of environmental organizations. With the launch of the Cocoa and Forests Initiative, WCF has taken its first collective step to address this challenge. The 20+ signatories have committed to work together to end deforestation and forest degradation in the cocoa supply chain, with an initial focus on Côte d’Ivoire and Ghana. 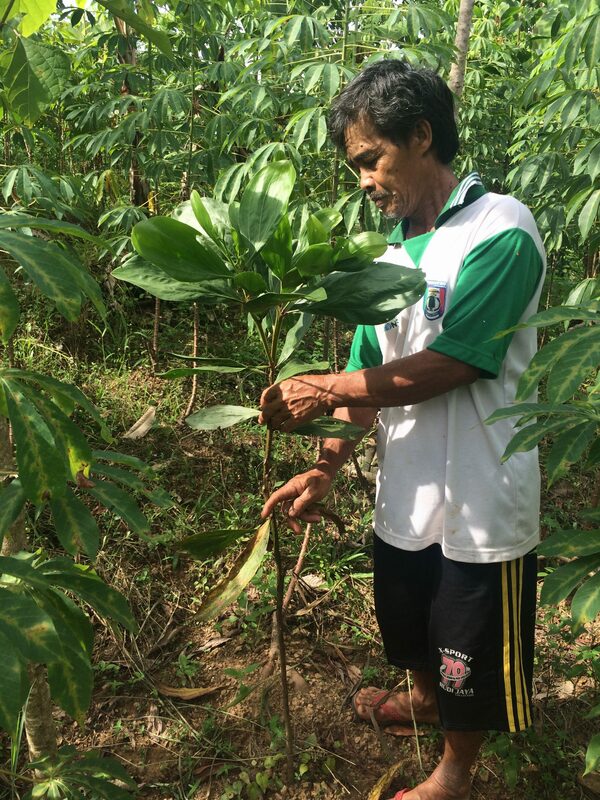 As a new report from Forest Trends’ Supply Change Initiative highlights, this initiative comes at a time when stakeholders across forest-risk supply chains are committing to reduce their deforestation impacts. The 2017 report underscores numerous trends in the “big four” supply chains: palm, soy, timber and pulp, and cattle. 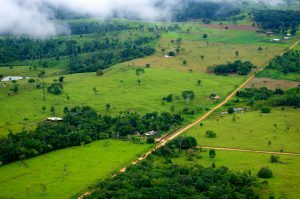 Both deforestation-free commitments and the number of commitments backed by transparent progress are on the rise, and progress information is now publicly available for over half of deforestation-free commitments. 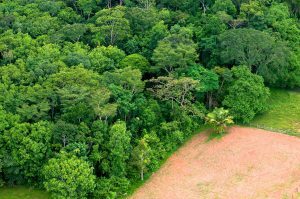 Though significant challenges remain – for example, one-fifth of commitments are now “dormant” and lack documented progress – companies across the globe are acknowledging their role in deforestation and taking action. The cocoa sector can learn from the “big four.” Though the increase in deforestation-free pledges is encouraging, this progress has not been equally shared. Business size, structure, and function often define which companies are most likely to join these efforts. SMEs, retailers, and private companies continue to lag behind their larger, publicly traded peers. Here too, the report’s findings offer encouragement, as collective action and coalitions are particularly effective in spurring companies of all sizes and structures to adopt pledges and provide transparent reporting. Similar to the “big four”, the cocoa industry is at an inflection point on the path toward ensuring the sustainability of their supply chains and the health of the planet. WCF members are demonstrating their commitment to addressing key environmental challenges in the cocoa sector. As the Cocoa and Forests Initiative continues to develop, the cocoa sector can build on the momentum and lessons learned from other sectors to create an inclusive, comprehensive, and transparent approach to ending deforestation in the cocoa supply chain. Learn more about the Cocoa and Forests Initiative by visiting WCF’s website. 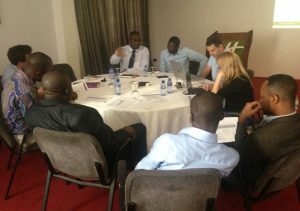 Frank discussions, open feedback, real challenges, and significant opportunities were central components of the first CocoaAction Monitoring and Evaluation (M&E) Learning Meeting hosted in Accra, Ghana in February 2017. The meeting was designed for CocoaAction implementation practitioners to share successes and opportunities for improvements to monitoring & evaluation processes, especially as it relates to data collection and verification. The group focused on sharing successes and opportunities for improvement especially related to M&E processes based on the 2016 experience. 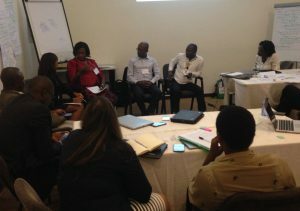 Approximately 40 representatives from CocoaAction companies, Ivorian and Ghanaian governments, civil society organizations, Voluntary Sustainability Standards (VSS), auditors, and technical implementing partners participated in the meeting through short presentations, small-group sessions, and broader discussions. This meeting set the stage for continued learning. CocoaAction will incorporate the recommendations into 2017 implementation, and once consolidated 2016 CocoaAction results are available later this year, further areas for adaptation will be identified. WCF looks forward to more opportunities to build on this inaugural meeting to evolve ways of learning, embrace both successes and failures and identify ways to improve collective work, and to share our learnings and experience with others to advance cocoa sustainability. Cocoa Life, a sustainability program launched by WCF member Mondelēz International in 2012, is committed to protecting cocoa-farming communities and the environment through farmer empowerment. 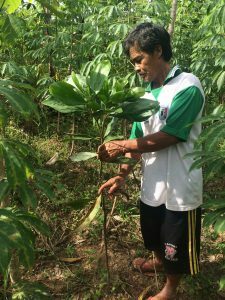 In the Indoensian province of Lampung, Cocoa Life partnered with two civil-society organizations to provide farmers with seedlings to plant on their farms along the rivers to prevent erosion and landslides, and to develop action plans. Cocoa Life shared the story of Ibu Sitti who describes her village’s experience and efforts. “Our village of Banjar Negeri has been struck by natural disaster many times. We have experienced five floods since 1968. Three years ago, heavy rains caused a flash flood that affected 128 families. Homes were destroyed, people were injured, and farmland was buried by mud. We have made progress, and it was accomplished through partnerships. 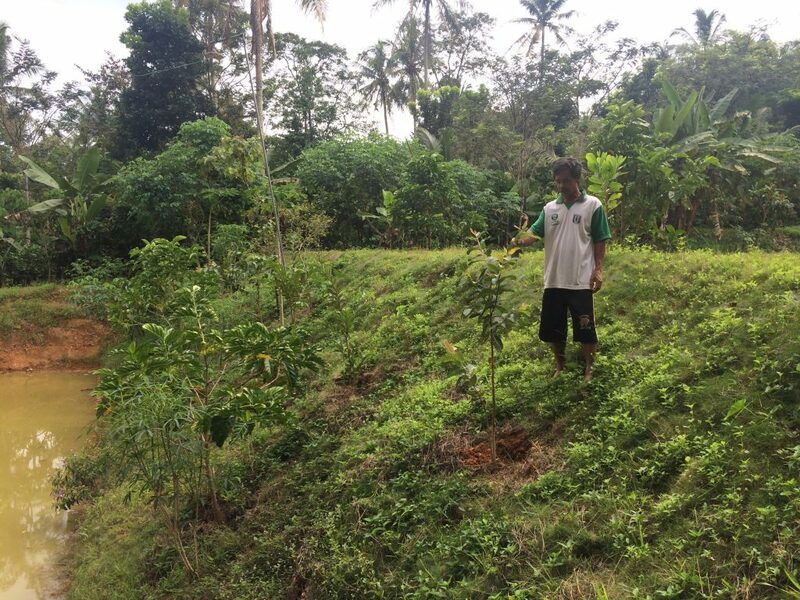 Before, farmers weren’t aware of the government’s free seedlings program. Save the Children worked with Watala, a local NGO, to help our community submit a proposal for access to the Center for Watershed Management, a governmental agency. They also assisted with the distribution. This is an example of how when organizations work together, they can maximize the results. Learn more about Cocoa Life and Mondelez’s work in Indonesia at www.cocoalife.org. WCF bids farewell and thank you to Virginia Sopyla, Bernadette Le Masters, Jean-Yves Coloud, and Marie-Claude Zando for their service to WCF. WCF welcomes Iain Edmundson as an intern to the team in the D.C. office.